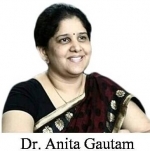 Dr. Anita Gautam is a Director Clinical Operation & Consultant Psychiatrist, Gautam Hospital & Research Center and the Gautam Institute of Behavioral Sciences and Alternative Medicine, Jaipur. Awarded with the “Dr. Indla Rama Subba Reddy- IAPP Award 2012” City Icon Award 2016, Women’s Honor Award (Nari Tujhe Salam) April 2017, Indian Trailblazer Women Award 2017, Abhivyakti Welfare Society Appreciation Award 2017, Women of The Future Award 2017, Most successful women entrepreneur of Jaipur Award 2017. Dr. Anita has contributed a great deal to the society. She has an extensive work experience of 7 years and has participated and presented scientific research papers in many psychiatric conferences. Moreover, her research papers have been published in several journals. Some of these include: Publications “Mentally ill Woman and protection under Indian law- How realistic?” In special supplement of Journal of IAPP. “Metabolic syndrome with special reference to Schizophrenia. Published in Psychiatry in India: training and training Centers second edition 2015. “Interface of law and psychiatric problem of children: Clinical Practice Guidelines “Role of antioxidants in generalized anxiety disorder and depression.” Indian journal of Psychiatry – 2012. Publications in General Magazines Debutlife Magazine four articles. 1 Stress How to deal. 2. 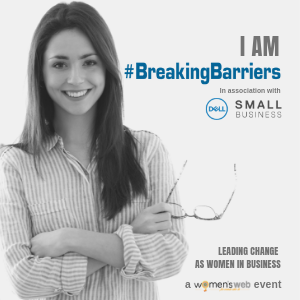 Emotional Empowerment of Women. 3. Emotional intelligence: essence of marriage. 4. Child Abuse. “Dementia – Current concepts and management” and “Mental illness and female gender ” published in “Swasthya Chintan” Blogs on Regular bases in “First Mom Club”, “Mycity for Kids” and “O Womania”, “Vamaindia”, “Jaipur Women Blog”. Apart from these achievements, her journey as a psychiatrist, was also documented on D.D Rajasthan named “Naam Roshan Karegi Betiya” and “Udaan” Programme on All Indioa Radio (100.3 FM). She is frequently invited as expert guests to give view on various topic like women empowerment child abuse, yoga & mental health, women and alcohol, tobacco and society, women trafficking, stress and exams, Stress Management, suicides on various TV channels like First India News, Samachar Plus, Zee Marudha, Jan TV, Sahara Samay, News 18, IB News Channel, Patrika TV and ETV Rajasthan, News India. She has also organized free health check up camp for old age people, underprivileged children, de addiction awareness programmes, Women Mental Health and Schizophrenia Awareness programmes. What Is Social Anxiety Disorder? How Can You Overcome It? Social Anxiety Disorder is an out-of-proportion fear of one or more social situations wherein the person is concerned about being harsly judged. Mood swings before, during, and after menopause can be a very real, painful experience, but keeping oneself positive with these tips can help. Destress yourself with these four practical and doable tips - some amount of stress is good for you, but don't let it become overwhelming!